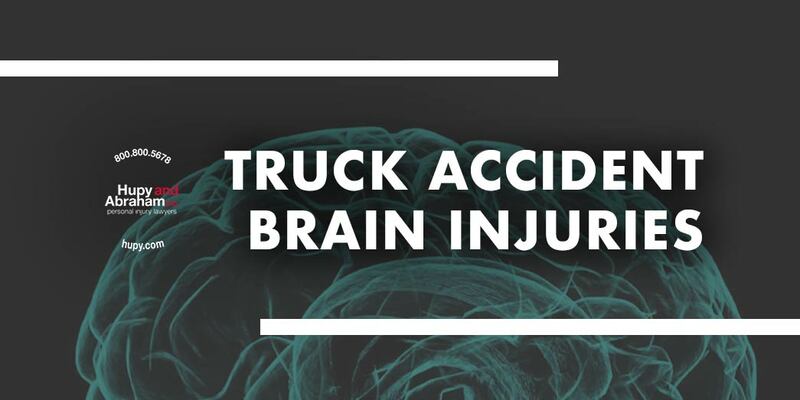 Truck Accident Brain Injuries | Hupy and Abraham, S.C.
Truck accident brain injuries typically happen in similar ways. A trucker, trucking company, or another party was negligent, and that negligence led to a collision between the truck and your car. The force of that collision caused your brain to crash against your skull, your head to hit something, or something to puncture your skull and brain, and you suffered a traumatic brain injury as a result. A brain injury can cause financial and emotional stress. An experienced truck accident attorney can help you understand your options for protecting your fair recovery. However, your time to take action is limited by the state statute of limitations. Accordingly, it is important to take action quickly by learning more about your recovery. Senses (including touch, vision, and hearing). Gross motor function (including balance, motor planning, and motor activity). As you recover, you may be under significant restriction. You may be unable to use technology, you may be unable to read, you may be unable to drive, and you may be unable to be around loud noises, for example. This can make work impossible. In some cases, your brain may not heal completely and the consequences of your injury may stay with you for the rest of your life. To learn more about protecting your right to a fair recovery, please contact us online or call us directly at 800.800.5678 to schedule your free, no-obligation consultation.